WHO tags video game ‘mental disorder’ – Royal Times of Nigeria. “There are few truer snapshots of a country’s well-being than its health statistics,’’ the UN agency also said. WHO said while broad economic indicators such as Gross Domestic Product may skew impressions of individual prosperity, data on disease and death reveal how a population is truly faring. WHO said crucially, in a world of 7.4 billion people speaking nearly 7,000 languages, ICD provides a common vocabulary for recording, reporting and monitoring health problems. “Fifty years ago, it would be unlikely that a disease, such as schizophrenia, would be diagnosed similarly in Japan, Kenya and Brazil. “Now, however, if a doctor in another country cannot read a person’s medical records, they will know what the ICD code means,’’ WHO explained. Without the ICD’s ability to provide standardised, consistent data, each country or region would have its own classifications that would most likely only be relevant locally. 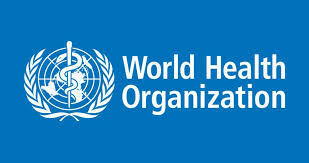 “Standardisation is the key that unlocks global health data analysis,’’ WHO said. The 11th edition of ICD was released to allow Member States time to plan implementation before it is presented for adoption at the 2019 World Health Assembly. It added that ICD now reflects critical advances in science and medicine.